Baking dish in durable material. 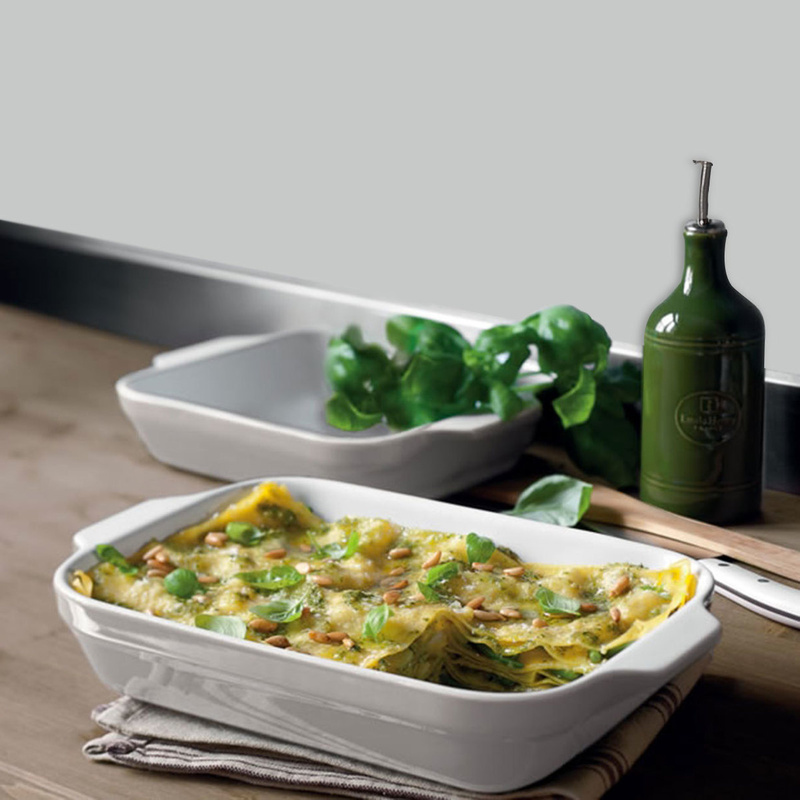 The square baking dish Cooking Elements by Villeroy & Boch is ideal for any use: the first-quality ceramic makes it possible to use it in the oven up to 260 ° C, or even in the freezer up to -30 ° C. The Cooking Elements line is designed to make any preparation in the kitchen easier and more pleasant: its models are so versatile and comfortable, that are perfect in any situation. This square baking dish 21 cm long with a high edge, is conceived to bake food for 4-8 people; when the food is cold you can also use it for storage in the refrigerator or freezer. The choice of using only high-quality raw materials allows Villeroy & Boch to create products that are suitable for both the dishwasher and the microwave, without the risk of cracks or sudden breakage. A very good product, very practical and versatile, but not only: this baking dish has the advantage of also being very elegant and refined, and this is why it can be used also to bring food to the table, combining it with any type of tableware. 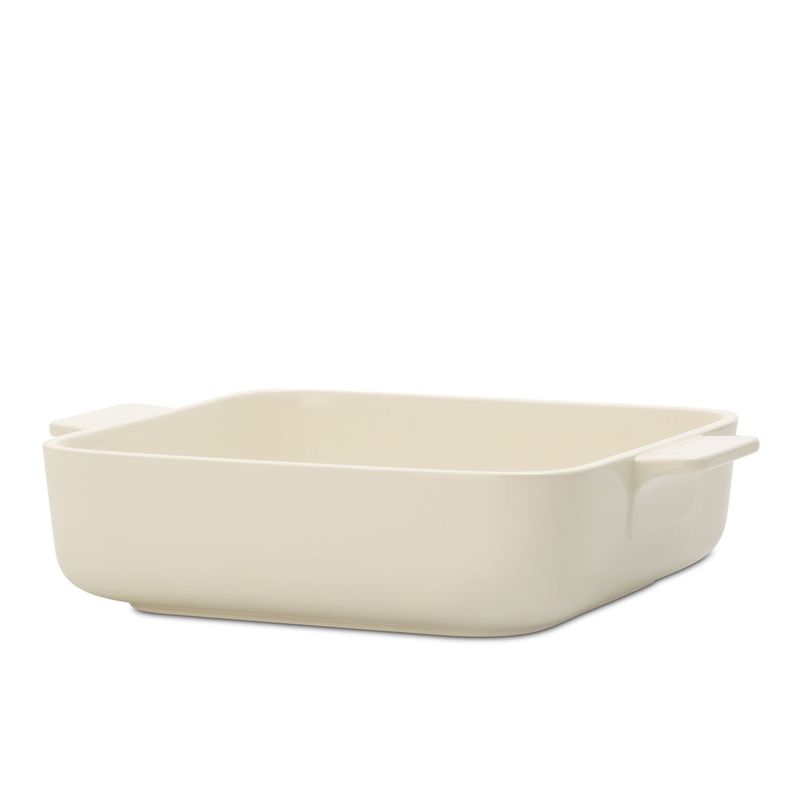 The very simple, clean lines of this baking dish make it suitable to be match to any other type of plates and serving dishes, even in case of very elegant or sophisticated occasions. You may even think of using the Cooking Elements baking dish as a special gift, particularly pleasing to those who love cooking. A baking dish of this kind, in fact, is perfect for everyday use, and does not deserve to be relegated to a shelf in the kitchen. Villeroy & Boch products are designed for everyday use; they are not affected by temperature changes, washing or cleaning with aggressive products. The white ceramic does not stain and does not splinter. The Cooking Elements line is designed for those who really love cooking, so there are also other models available, including moulds and various containers.